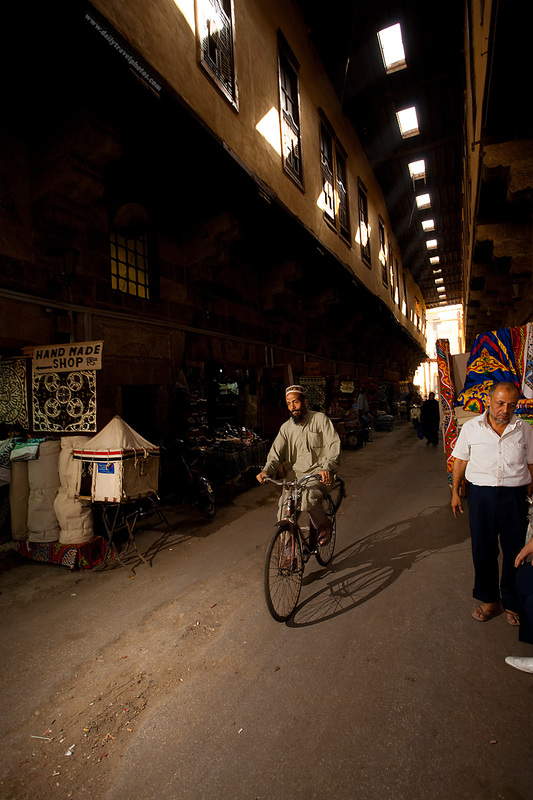 A Muslim man rides his bicycle through the Bazaar of the Tentmakers. I experimented using a flash without a diffuser and it quickly reminded me that I much prefer the soft, enveloping light provided by a light-diffusing umbrella. 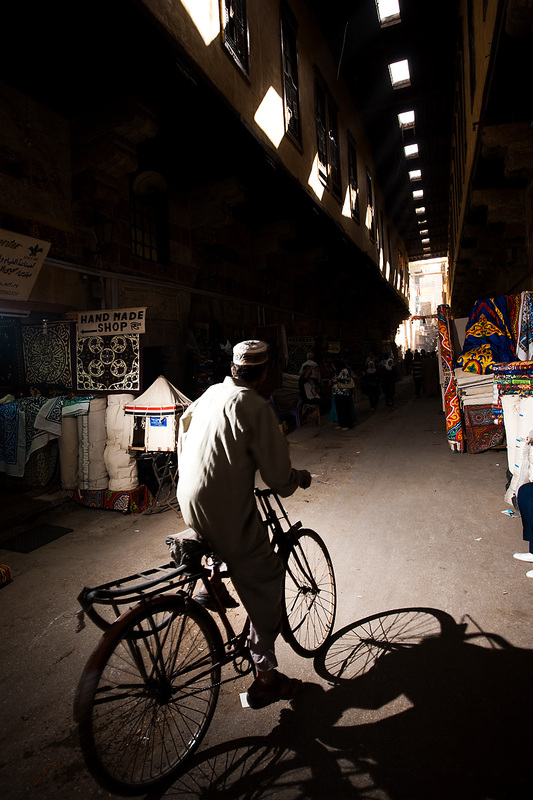 A Muslim man rides his bicycle back through the Bazaar of the Tentmakers. This time, I caught the same cyclist with the diffuser which I prefer to the previous photo. Feel free to disagree, though. 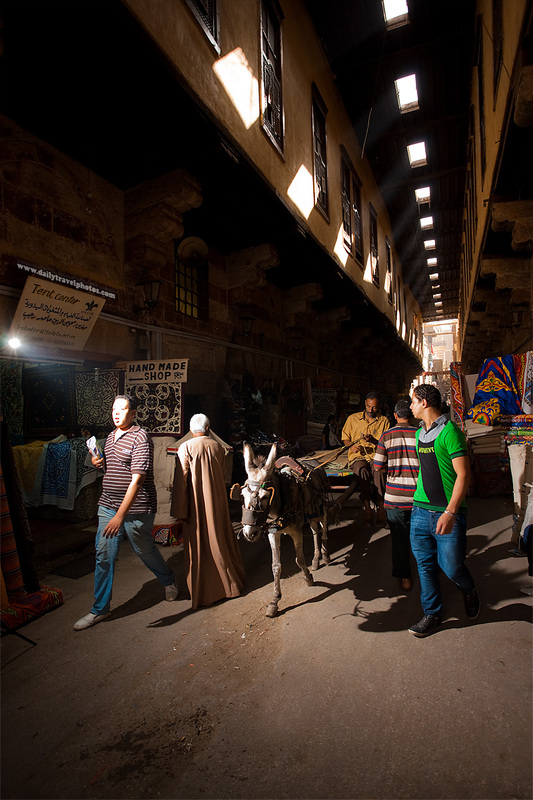 A donkey cart passes through the test exposure shot. Perhaps you can see from this photo why I'm so jazzed up (or jazzersized, if I may) about bringing out my lighting gear again. It took Cairo to remind me that there are still some places on earth that rely on old world methods and residents still retain their beautiful traditional apparel.